Come Away With Me Maxi https://www.review-australia.com/au/come-away-with-me-maxi-red/RE18DR378.RERED102.html From the REVIEW Romance collection. 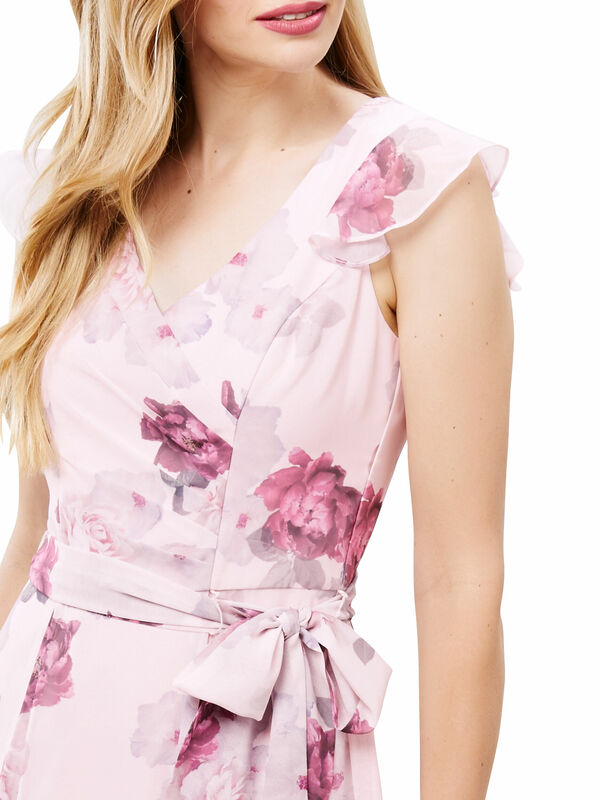 A floral and feminine dream with modern appeal, you'll adore the Come Away with Me Dress. 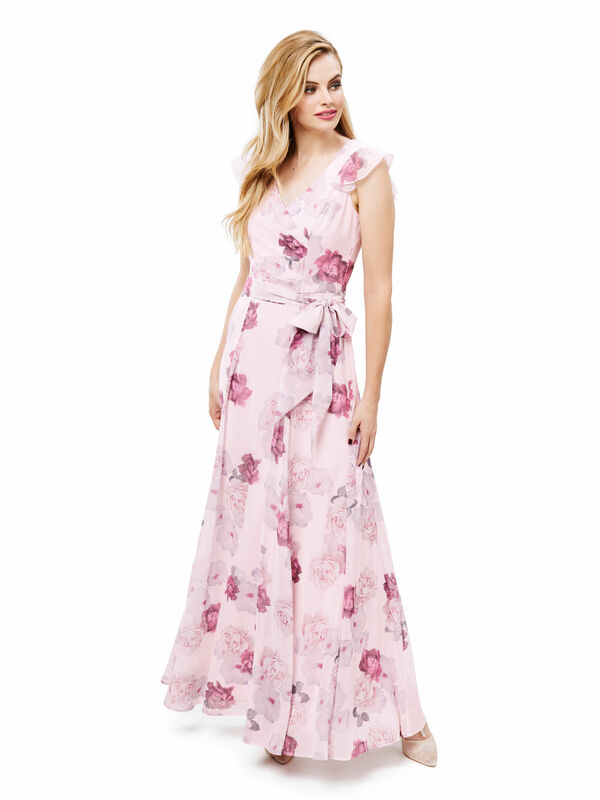 The softly printed georgette style has a flattering maxi silhouette, fitted at the bodice with a cross-over structure and flutter cap sleeve. A floaty relaxed full length skirt adds an air of elegance that makes it perfect for formal occasions. The v-neck dress features a back zip closure and pink satin lining. From the REVIEW Romance collection. 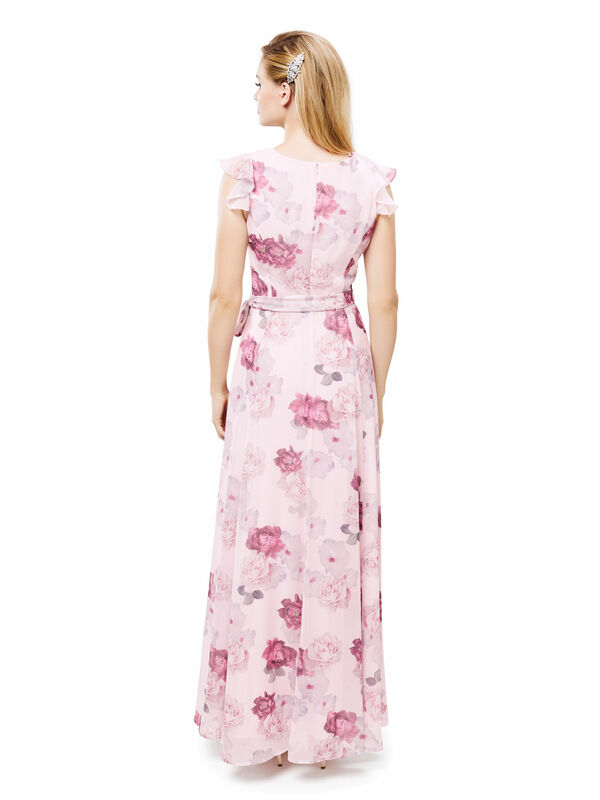 A floral and feminine dream with modern appeal, you'll adore the Come Away with Me Dress. 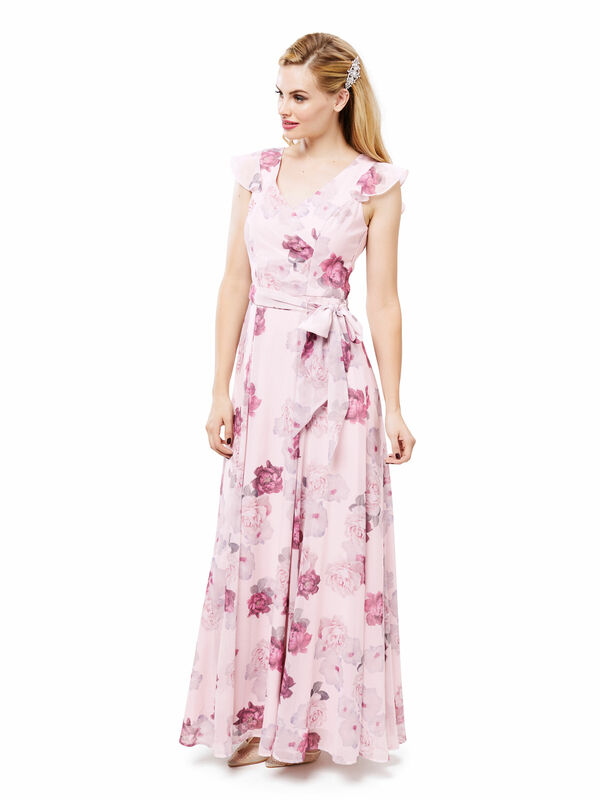 The softly printed georgette style has a flattering maxi silhouette, fitted at the bodice with a cross-over structure and flutter cap sleeve. A floaty relaxed full length skirt adds an air of elegance that makes it perfect for formal occasions. The v-neck dress features a back zip closure and pink satin lining. Come Away With Me Maxi is rated 4.8 out of 5 by 4. Rated 4 out of 5 by TT14 from Beautiful floating fabric I bought a size 12, a size smaller than I am and fits beautifully. Being only 5’ 4” it is too lobg, but should be ok with heels.